Always Redi-Mix was incorporated in 2001 by Mike & Teri Haef’s & Brian, William, & Patrick Strupp. Always Redi-Mix was founded to provide Quality products with quality services in the La Crosse area. Since it’s origination we have added plants in Sparta & Onalaska to better serve our customers. 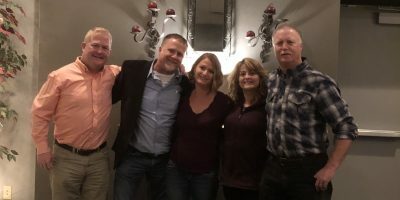 In 2015 The Strupp family purchased the Haef’s share’s of the business, at that time they brought into the business their sister Kelly Herbst. Always is a family business that delivers redi-mix within 50 miles of their locations. With 18 front discharge Redi-mix trucks we can service any project from big to small.